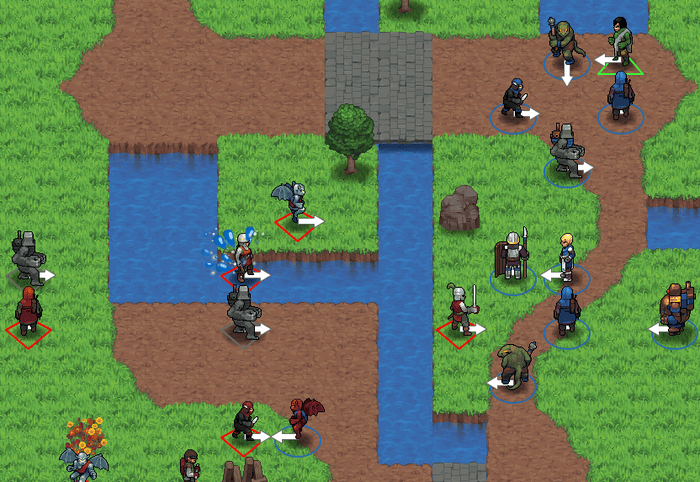 Have you ever played Fire Emblem and thought “Man, I wish I could play this against up to five of my friends?” How about, “Man, I wish I could mod this to create my own campaign?” If you’ve ever had these thoughts, Telepath Tactics may be the game for you. Telepath Tactics is the creation of Craig Stern and Sinister Design. The game is inspired by Nintendo’s Fire Emblem series, particularly Path of Radiance. 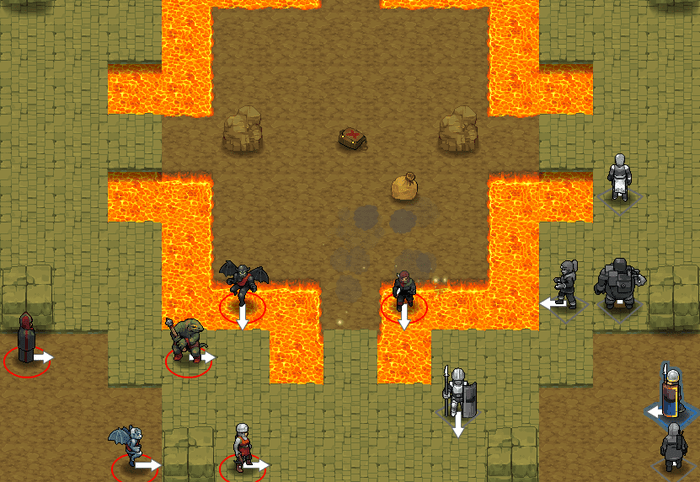 And as you can imagine, a number of battle aspects are similar with the popular strategy RPG. There are a number of differences in Telepath Tactics and Fire Emblem. First thing is the actions you can take in the game. Each class has several different actions. Some of these actions include creating barricades to block paths and bridges to create new ones, as well as throwing enemies into water or pools of lava. In addition, attacks are consistent (except for cases such as being blinded and paralyzed) and can increase if you attack from behind. The AI is also aggressive and doesn’t wait for you to enter their attack range. The second is that the game was created from the ground up as a multiplayer game. As a matter of fact, Stern has been working on the game for years, playing it between him and five of his friends. This allows you to play against live players rather than computer generated AI, coming up with various in-game tactics. The third comes from suggestions that Stern got from other players: single player campaign. But it’s more than just a simple single player campaign. If you wished, you could create your own campaign with your own designed levels which, unless I’m mistaken, you can share with other players. In short, Craig Stern and Sinister Design want to give you a potentially never ending Fire Emblem-style game. And you can get it all for $10 – if it reaches its goal. The goal for Telepath Tactics is $25,500. The money will be going towards sound effects for all the various actions of the 22 character classes, a larger soundtrack (which can be used when modding levels to your design), artists that will help with level detail and creating second genders for each class, payment for a proper website for the game, and a spot at PAX East. As I’ve said earlier, you can get the game for pledging $10. You can also get digital art ($20), access to the full alpha and beta builds ($25), early access to the map editor ($50), and a full-sized game poster ($75). For limited rewards, you can name a character ($100), chat with developer Craig Stern ($200), be an NPC ($300; $350 for a dramatic scene), and take part in designing the game (if you happen to have a spare $5,000 around). So far, they’ve raised $12,602. Unfortunately, they only have until Saturday morning (8:14 AM to be precise) to raise the rest of the near $13,000 needed to reach their goal. So, if you want a chance to help the game, get on it. Oh, and if you have any doubts about it, they’re giving away a free demo of the current alpha build. We liked it.